First, sorry for the extended unexcused absence. Visiting children, insane work schedules, business travel and sheer distraction knocked us off our weekly schedule. But we’re back, and Chrissie Hynde takes us way back. In reviewing this album, you can go one of two ways. First I should point out that this is simply a dose of Chrissie Hynde as herself. 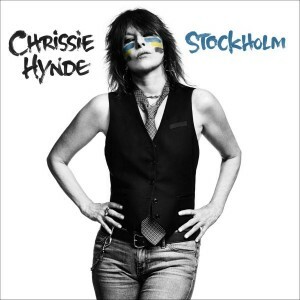 Unlike George Michael calling in a symphony, or Snoop becoming a Lion, or Band of Horses going acoustic, this is Chrissie Hynde sounding a lot like she did when I kind of fell in love with her in the early 80s. It’s bad because there’s no progress – no growth – no freshness. It’s good because it’s music that sounds great and feels even better. Either view has its merits, but I’m sticking with the good side. It’s Chrissie freaking Hynde, for Pete’s sake, and her voice still has that velvety touch of aching and that snarling toughness. 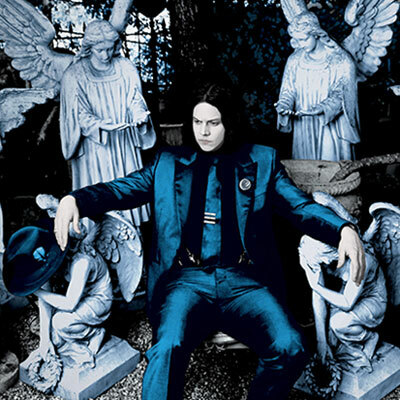 Nobody can argue that this album is anything less than a solid rock and roll effort. It could be argued that there isn’t anything on it that will become a classic like “Back on the Chain Gang” or “Brass in Pocket”, but I’m not so sure that’s true. A few of these songs have stuck with me for the past several weeks, and if you listen to this album, you’ll probably have a few stick in your brain. “Dark Sunglasses”, “Adding the Blue” or “You’re the One” are worthy of prime placement on anyone’s playlist. This is billed as a solo album, but it’s not one of those self-indulgent “artiste” things where Hynde went off and played hermit alone with a bunch of instruments. This is a collaboration, including excellent instrumentalists and even a cameo from Neil Young in “Down the Wrong Way”. Even better than bringing in Neil Young was the appearance of John McEnroe. Yes, that John McEnroe! And, if you’re a longtime lover of Hynde and the Pretenders, you’ll remember when she blasted off “Pack it Up” with “You’re the pits of the world!” – a quotation of bad-boy tennis star John McEnroe from Wimbledon in 1981. McEnroe does a creditable job working the guitar in “A Plan to Far”. Go ahead and point out that John McEnroe is washed up as a tennis player, if you want to be a jerk about it. Meanwhile, I’m going to enjoy the music and be happy that Chrissie Hynde is still having fun with her bass-driven rock songs. I liked her sound in 1980, and I still do. Maybe Chrissie Hynde could show some growth by taking up the piano and singing about arteriosclerosis, but I’m glad she’s 62 and still rocking. She’s still “special”, if you ask me. This entry was posted on Sunday, July 6th, 2014 at 3:39 PM	and is filed under Uncategorized. You can follow any responses to this entry through the RSS 2.0 feed. You can leave a response, or trackback from your own site.